You had me at "Lizardmen," if I'm being honest. 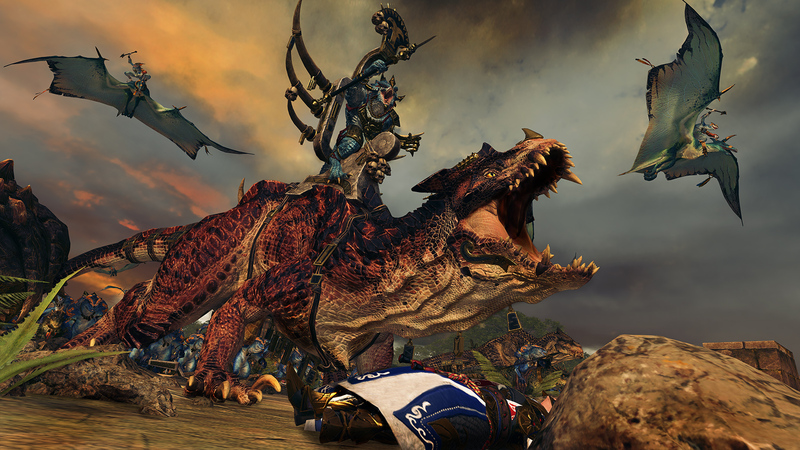 They're one of the four playable races in Total War: Warhammer II, with High Elves and Dark Elves also confirmed, but let's not stray away from the subject at hand -- it's the Lizardmen's day in the sun. This is the first of what will surely be many, many in-engine trailers for the game. I wish they had gone with the shortened "Total Warhammer" naming scheme, but Total War-War is pretty dang amusing.